Consistency and a great passion lead my commitment to Pilates and movement, this journey is a continuing work in progress. I am originally from a town in the northeast of Italy, close to Venice, Padua. I am a professionally-trained dancer in ballet and modern jazz dance. During the dance carrier, I’ve been part of workshops with the Royal Ballet of London, The Opus Ballet of Florence and MAS (Music Art Show) of Milan. 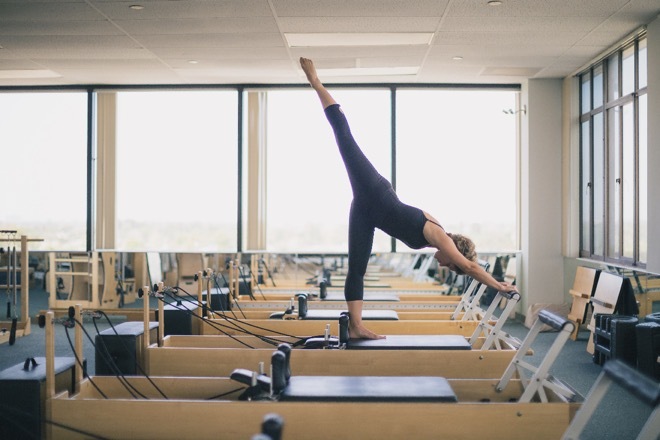 When I’ve discovered Pilates, I’ve completely felt in love with the method, it’s quite illuminating. Here in California I’ve completed the comprehensive teacher training through BASI Academy, studying under internationally reknown teachers such as Rael Isakowitz and Lisa Hubbard. I’ve taught mostly in Pilates studios and physical therapy studios in the area of South Orange County. I’ve taught barre, TRX classes and ballet classes for kids. I love to teach and I love to help clients to feel good in their bodies and accomplish improvements. In my spare time I enjoy to take yoga classes, to cook as you can see from my Blog and to travel. I will be thrilled to have you in some of my classes, you might learn some Italian as well!